Project objective: to design icons and illustrations in order to communicate the science of the framework for strategic sustainable development without using too many words. These graphics are now used worldwide by The Natural Step’s employees in their presentations, workshops, guidebooks and eLearning courses. 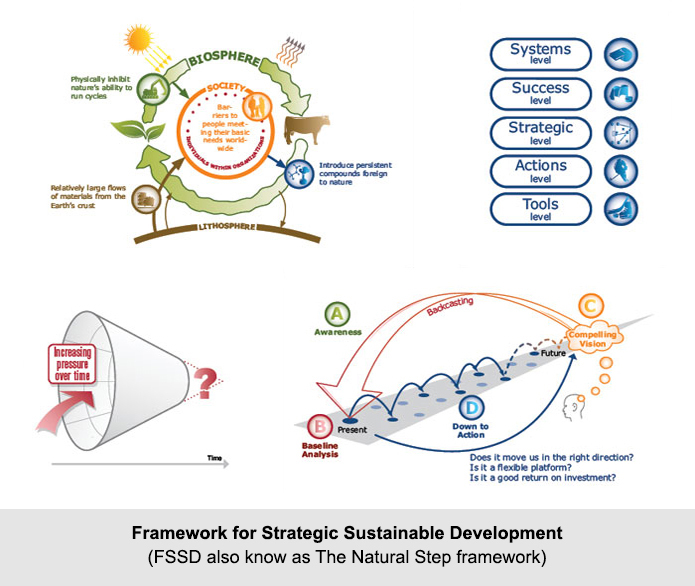 They receive positive feedback from people who are pleased to “finally understand what sustainability is thanks to a simple and visual framework” (as some of them put it! ).